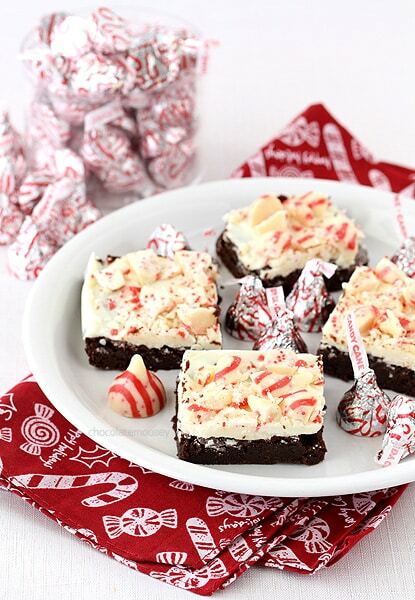 If you love peppermint bark candy, then you’ll love these Candy Cane Brownies with chopped Hershey’s kisses on top because they taste just like peppermint bark brownies! The Holiday Food Bloggers are back, this time celebrating all things Christmas! How could we not when it’s one of the biggest holidays in the world? When I think of Christmas desserts, candy canes, gingerbread, and eggnog come to mind. It’s also that time of year to buy specialty Hershey’s Kisses, like mint truffle, cherry cordial, and candy cane. I’m obsessed with seasonal candy for the limited edition flavors. Probably one of the best marketing tactics for companies, right? 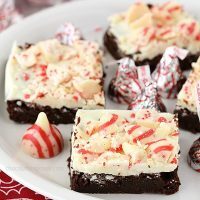 For today’s recipe, I made Candy Cane Kiss Brownies, which are chocolaty brownies topped with a layer similar to peppermint bark. 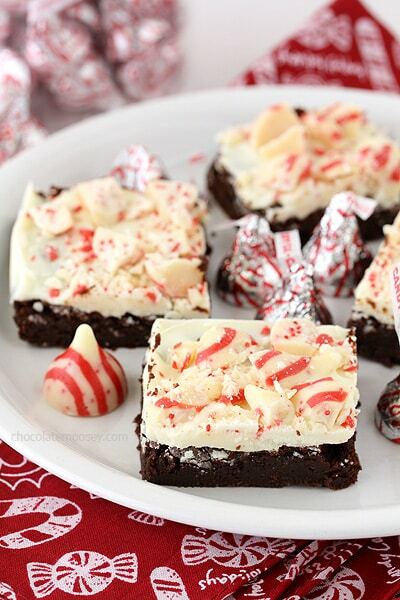 If you love candy canes and peppermint, you’re not going to want to pass these up. 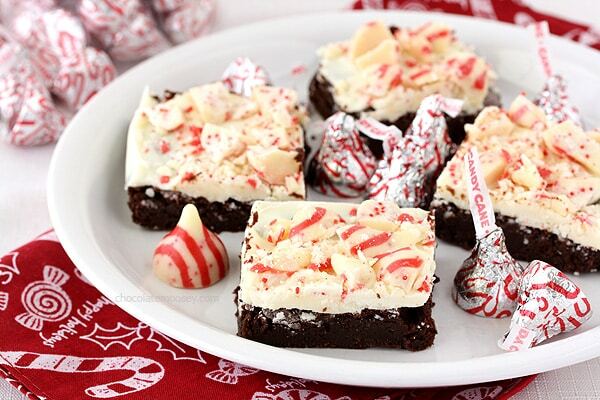 I saw a picture of brownies similar to these with crushed peppermints on top. However, I’m not a big fan of hard candy, so I used candy cane kisses instead. Much easier on my teeth without losing the candy cane flavor. It’d be an understatement to say I couldn’t stop eating these brownies! The brownie base recipe is from my favorite cookbook author Dorie Greenspan. I love that woman and can’t wait to someday meet her. Seriously, if you are a baker, you need to buy Baking: From My Home to Yours for your collection (Amazon affiliate link). I used to be a part of Tuesdays With Dorie way back when, so I’ve baked a good bit of recipes from that book (since I couldn’t keep up with the group). The peppermint from the kisses is pretty strong, so I didn’t add any peppermint extract to the brownies. 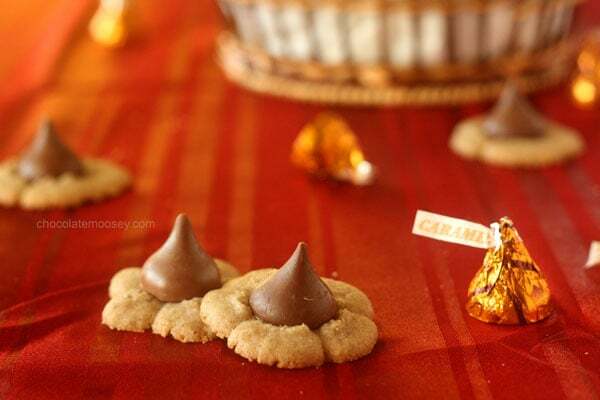 I know several people who don’t like peppermint (more for me), so feel free to substitute plain kisses. Preheat oven to 350F. Line an 8x8-inch pan with parchment paper. In a heatproof bowl over a saucepan of simmering water, melt the butter, bittersweet chocolate, and unsweetened chocolate. Remove the bowl from the heat and whisk in sugar (it'll be grainy). Beat in the eggs, one at a time, then beat in the vanilla. Add the espresso powder, salt, and flour. Scrape into the prepared pan and bake 30-33 minutes or until a toothpick inserted in the center comes out clean. Cool completely. In another heatproof bowl over a saucepan of simmering water, melt the white chocolate and shortening (white chocolate is very delicate to melt, so do not get any moisture in the chocolate or it'll seize up). Spread over the cooled brownies. Top with chopped kisses. Let the chocolate harden before cutting. 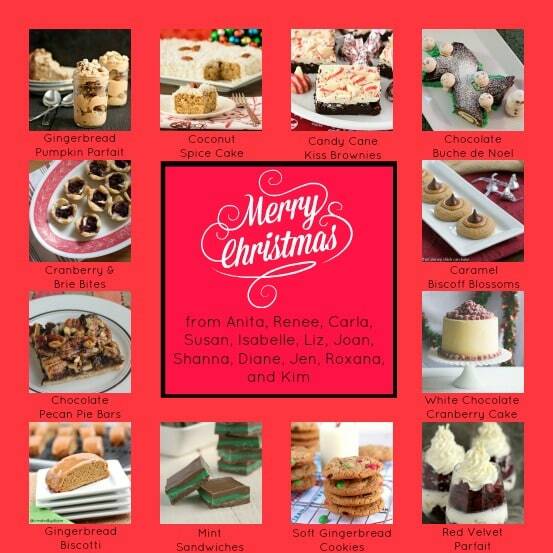 If you’re looking for more Christmas recipes, check out the rest of the Holiday Food Bloggers! All you need to do is click on the thumbnail on the graphic above. Yes, each thumbnail is clickable and goes to each participating blog. Let me know if it’s not working. 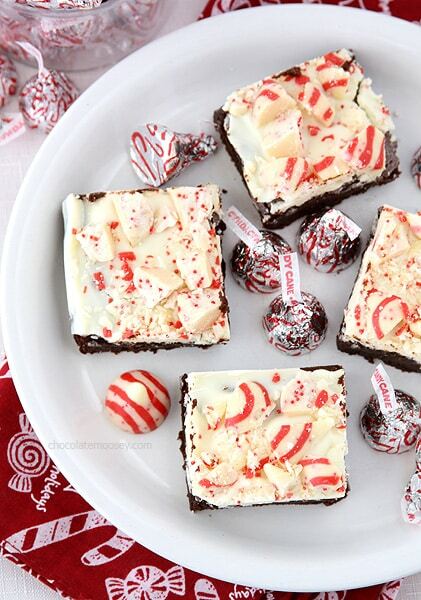 I think chocolate and peppermint were created to go together…what a fun idea! i love peppermint bark. it sounds even better like this! Oh, man, my family would inhale these luscious brownies! 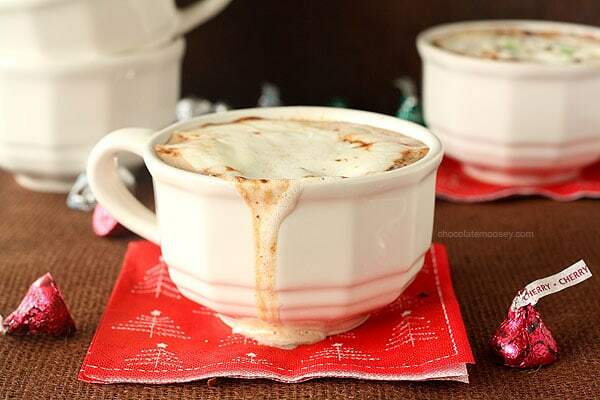 So yummy and festive! I have to admit, I’m a sucker for white chocolate anything! Oh my gosh… these are genius! I love peppermint-flavoured brownies, but those crunchy bits of candy cane always get stuck in my teeth and ruin the experience. Using candy cane kisses sounds perfect. I have to admit I’m not a fan of peppermint (it doesn’t do well in my system). Such a share because they are so pretty with the red and white kisses. I do see the possibilities with using different flavored kisses with these brownies. 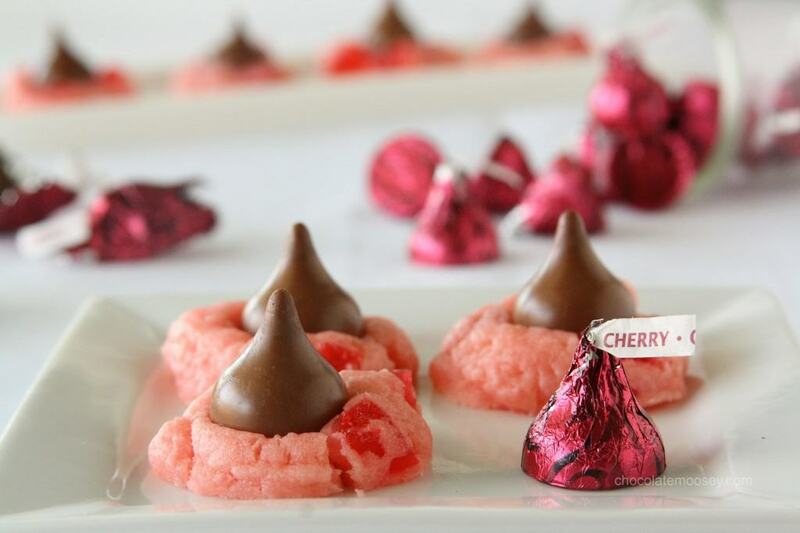 The white chocolate bark top would make any of the kisses stand out. I like the peppermint, so you need to share with me! I spotted the candy cane and cherry cordial kisses at the market today and was so tempted to buy them, but I don’t need to bake anymore stuff than I already am! Those kisses are my favorite! And pairing them with brownies was a genius move! We make peppermint bark every year because it’s a Christmas thing. You’ve got to. I love that you used the peppermint Kisses on the brownies though, Carla. Much easier on the teeth! Two great flavors together, these look pretty and YUMMY!